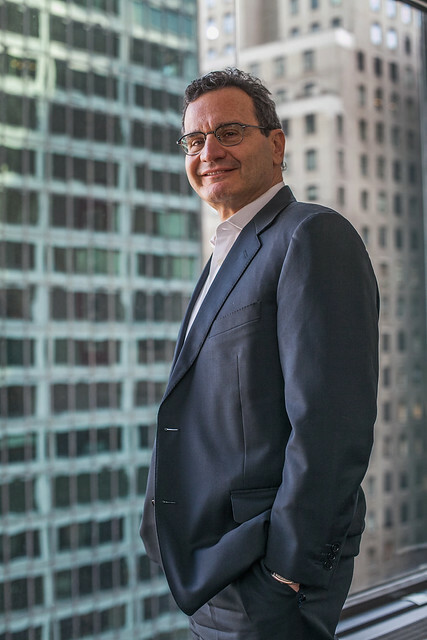 Behind the more than $1.4 billion that CanAm has raised in EB-5 funds, sits Tom Rosenfeld–president and CEO of the company that has successfully assisted over 1,000 investors obtain green cards for themselves and their families. Rosenfeld grew up in Philadelphia, got his start with Canada’s Immigrant Investor Program, and jumped into EB-5 just as it started to take off again in the early 2000s. CanAm was behind one of the first regional center projects after the program’s hiatus and was instrumental in working with stakeholders to get the program back on its feet. Just about 10 years later, CanAm is now promoting six government-affiliated regional centers, has received nearly 2,500 I-526 approvals for investors involved in their projects, and has repaid investors in full to the tune of $238.5 million. CanAm estimates that their projects have led to the creation of 38,000 jobs for U.S. workers. How did the son of immigrants become one of the biggest names in EB-5? EB5 Investors Magazine Staff: How did you first get started in EB-5? Rosenfeld: I was fortunate to work at Price Waterhouse (currently PricewaterhouseCoopers), both before and after law school. I worked with a highly regarded tax partner who specialized in real estate syndications that attracted international investors. This led to my learning about the Canadian Immigrant Investor Program that was enacted in 1986. The concept of an investment that could yield immigration benefits was intriguing to me. As this was the time when China and Britain were finalizing plans to transfer Hong Kong to China, an exceptional and timely business opportunity existed. Our experience with the Canadian program was the backdrop for our interest in EB-5. Staff: Why did you choose EB-5 as an industry to get into and what made you stay involved in it? Rosenfeld: I believe that I was naturally attracted and intrigued by the EB-5 program because I am an immigrant. I was born in Israel to Holocaust survivors who moved to the United States in hopes of finding a better life. I was sensitive to the unspoken concerns of my parents who had uprooted themselves to go to a foreign country with the dream of providing a better life to their children. My personal back-story, along with my business background and professional aspirations, fed my passion for this venture. The idea of facing all the challenges of moving to a new country and potentially risking half a million dollars and even your permanent green card status is incredibly daunting. I distinctly recall how important immigrating was to my own family and how anxious my parents were of coming here. I have a great deal of empathy for what our investors experience, and this, combined with my interest in the business side of the EB-5 program, was the combination that clicked for me. Staff: Previously you worked on Canada’s Immigrant Investor Program, so what made you switch to EB-5? Rosenfeld: The Canadian program was initially administered at the provincial level and projects were selected, screened and qualified provincially. We represented the provinces of Prince Edward Island and New Brunswick and were fortunate to have excellent Canadian partners who introduced us to quality projects that we successfully promoted in Hong Kong and Taiwan. Around 1999, the Canadian government consolidated the individual provincial programs into a federally-administered program that enabled an investment in a five-year zero coupon Canadian government bond. Although we achieved a stellar track record in Canada, we acknowledged that it was time to look for new opportunities. At the time, there was a moratorium and an internal INS (predecessor to USCIS) review of the EB-5 program, which led to the issuance by the INS of a number of important precedent and regional center decisions. We read everything we could about the EB-5 program and carefully studied the important decisions. We structured a loan program based on Canada, but consistent with these decisions, and introduced it to the Philadelphia Industrial Development Corp. (PIDC) – the economic development agency for the City of Philadelphia. PIDC was a natural choice for me because I was raised, educated and started my career in Philadelphia. We advised PIDC of the troubled history of the EB-5 program during the 1990s and we agreed to proceed cautiously in order to ensure that we fully disclosed and vetted our plans with the INS. Staff: What year was this? Rosenfeld: I believe this was 2001. At that time, the INS had just completed its re-evaluation of the EB-5 program and was prepared to adjudicate regional center applications. Morrie Berez was in charge of administering the EB-5 program. Because of our affiliation with PIDC and the City of Philadelphia, we had the opportunity to openly discuss and ensure our proposed loan structure and regional center business plan was consistent with the INS’s interpretation of the precedent decisions. Bob Fina of PIDC and I met with Mr. Berez on several occasions. As an aside, I believe everyone who was involved with the EB-5 program in the first few years of its reintroduction would agree that Mr. Berez was instrumental in revitalizing and restoring trust in the program. Staff: What are some of the challenges you’ve faced either on the project side or the investor side, and how have you worked around them? Rosenfeld: Because of its troubled history, there was limited investor interest in the EB-5 program at the time the PIDC Regional Center was approved in February 2003. We understood the potential of the China market and wanted to introduce the EB-5 program in China. But, obviously, if China’s currency restriction policy was going to be a USCIS source of funds concern, we didn’t want to waste our time or money in that market. We openly vetted the issue with Mr. Berez, who understood our concern, but indicated that he needed to raise the issue internally and get a determination from more senior agency officials. It took several months, but eventually Mr. Berez advised that USCIS concluded that it was charged with deter- mining if an applicant earned his or her capital legally and that it was not the agency’s job to enforce China’s restrictive currency policy. That green light is why we pursued the China market. More recent examples of challenges pertain to the timing of being able to release investor funds. Initially, it took three to five months for an I-526 application to be adjudicated. At the time, our escrow agreement provided for the unconditional release of an investors’ capital contribution to a specific project only after his/her I-526 petition was approved; it was fully returned if the petition was denied. When adjudication timeframes steadily increased toward 14 or 15 months, not only were investors distressed, but also the unanticipated delay became a very serious problem for the project developers. For instance, construction workers at our University of Hawaii West Oahu campus development project were not being paid because our investors’ escrowed funds could not be released un- til their individual petitions were approved. The story made the papers and the University of Hawaii Board of Regents called me in to explain. I did my best to explain the industry-wide delays and expressed my confidence that the project met the highest standards of the EB-5 program. The University Regents voted to allocate sufficient short-term interim funding to ensure the construction workers were paid. After the EB-5 investors were approved, this interim funding was fully reimbursed. Staff: When you do projects, is it a loan model where you’re the lender, or do you actually own the project as well? Rosenfeld: One thing that we’re really clear about is that we are in the job creating immigration business. The idea that you can find a project that’s going to achieve the substantial job requirements of the EB-5 program, protect your principal and also provide you with a good return, is more than we can accomplish. That’s not our model. Our model is very conservative. Staff: So your model is a loan model? Rosenfeld: Exactly. Ours is a loan model. We’re interested in providing below-market-rate loans, on an interest-only basis, to companies who find that additional incentive significant enough to undertake a job-creating project that they may not otherwise pursue. In consideration for this attractive loan, we need to be relatively confident that the project will create the requisite number of qualifying jobs and is very likely to repay the EB-5 partnership loan in a timely manner. We advise potential investors that if they want to earn a high return, or have an equity interest—that’s not us. That’s not to say that it’s right or wrong, it’s just not our business model. Staff: When people are contacting you, are they mostly governmental agencies or project developers? Do people ask you to look at their project and tell them if it’s EB-5 friendly? Rosenfeld: We receive inquires from both sources, however, most of the projects we have promoted originate from our governmental agency partners. States and cities aggressively compete for job creating businesses and these businesses are not shy about seeking economic incentives. Our main source of projects is economic development agencies that are approached by businesses promising jobs and looking for something in return. Because of the substantial cutbacks to traditional economic incentive programs, EB-5 financing has become a very important incentive tool for our governmental agency partners. During our over 25-year history with immigrant investor programs, we have repeatedly been sensitized to the fact that these programs will continue to evolve and change in response to media attention and political concerns. Senator Leahy, who chairs the Senate Judiciary Committee with USCIS oversight, became the program’s most important proponent, in large part, because of the importance of the EB-5 program to the Vermont business community. If that community expresses its concerns about the monopolization of the program by large New York or Los Angeles developers, or a few negative articles are written about this development, it is my opinion that these traditional office or residential development projects will receive greater USCIS scrutiny. The bottom line is that, in the current EB-5 environment, we are very interested in promoting socially responsible projects that clearly have a public benefit. It doesn’t matter whether these projects originate from our economic development partners or large developers. Staff: What are some reforms you would like to see in the EB-5 program? Rosenfeld: First, I think it is only fair to acknowledge the important changes that USCIS has made to enhance the predictability and integrity of the EB-5 program. In particular, I think the issuance in May 2013 of the EB-5 policy guidelines was a significant turning point. This is a thoughtful document that protects the integrity of the EB-5 program in a manner that is realistic about business practices and investment risks. It will also help ensure that petitions are adjudicated in a consistent manner. Adjudication delays continue to have an adverse impact. To its credit, the agency has repeatedly acknowledged that these delays are a serious problem and that one of its top priorities is to substantially reduce the current adjudication timeframes. My understanding is that there are currently 80 professionals assigned to the EB-5 headquarters unit. That is a significant commitment of resources to administering the program and evidences a sincere desire to reduce the very problematic delays. Predictability and shortening the adjudication time frames are the keys to the program’s success. I believe the agency is doing its best to achieve these goals and, quite frankly, its efforts to effectively staff its headquarters operations have exceeded my expectations. In my opinion, the most constructive task the USCIS can undertake to enhance the EB-5 program is to focus on effectively implementing the reforms it has recently put in place. Staff: Talking about moving forward, what do you see as the future of EB-5? Rosenfeld: The key factor that will ensure the future growth of the program is an increase in the visa numbers. An increase will mitigate debates about which projects should be approved or not approved, or whether there are enough visas associated with projects in rural areas versus urban areas. If these numbers don’t increase, we are likely to experience significant delays to the issuance of visas, which will encourage qualified investors to pursue immigrant investor programs from other nations. Accordingly, if the House of Representatives insisted on an increase in the investment threshold in consideration for the allocation of additional EB-5 visas, I believe the program could endure it and that it would be a fair trade-off for the industry. Staff: What would you see as the consequences of raising the minimum investment amount, and how can the EB-5 program continue to compete with other international programs? Rosenfeld: It appears that some compromise is necessary and the industry should acknowledge that, if Canada and other countries with a higher investment threshold are thriving, then the United States, which is theoretically the first choice of most qualified investors, can absorb an increase to the minimum investment amount. At the same time, members of Congress should be reminded that the program has been successful in achieving its job creation and economic development policy goals at no cost to taxpayers, and that the EB-5 visa numbers should be increased to facilitate the nation’s need to create significantly more new jobs. Alternatively, other countries will aggressively pursue these investors, whose first choice would be to invest in the United States. For example, recently, several countries in the European Union are actively pursuing immigrant investors and facilitating visas within a few months. That’s a very attractive alternative to our current 18-month adjudication timeframe and the understandable concern of most potential investors is that, even after this 18-month wait, their petition may be denied, which would require them to start the immigration process to the United States or another country all over again. Independent of the job creation benefits associated with their requisite investment, it is important to recognize that in most instances these investors are incredibly successful entrepreneurs and business people. They are often the best of the best. And it’s extraordinary, the opportunity, the know-how and intellectual capital these people bring when they come to our country. If you look at Canada and observe all the direct and indirect benefits it has realized from its immigrant investor program, it’s astonishing. For a program to bring these kinds of people here, never mind their EB-5 investment dollars, the richness and potential business opportunities they bring as accomplished individuals, skilled professionals from different cultures and backgrounds, ever ambitious, entrepreneurial, determined—that’s incalculable. Staff: It’s the human capital as well, right? Rosenfeld: What’s the statistic? One out of every four jobs in this country was developed by an immigrant. The idea that people want to come here and live here is such a great asset for the country, that, forget their $500,000 investment – that’s miniscule compared to the benefits that this country will realize by their presence here – creating businesses, creating jobs. That always gets overlooked. It is a gift to this country. When you consider that immigrant investors currently only represent 1.3 percent of the annual number of immigrants to the United States, I really do not understand why it is not in the national interest to increase the available number of EB-5 visas. It’s such a relatively nominal number of people. I only wish there was a mechanism of determining how much business and how many jobs these people created after they immigrate to this country. Staff: What advice would you give a new developer who wants to use EB-5 to raise capital?